We want to share our experiences of cross country skiing and roller skiing to all beginners, ambitious skiers and cross skaters. 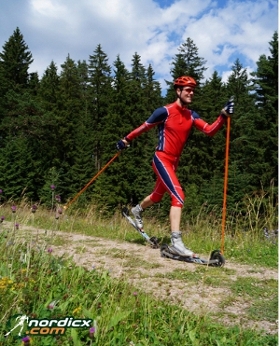 We have our knowledge from competitive sports with good results from roller ski world cups, german championships and worldloppet races. We have the best knowledge about athletes and their requirements to sportgoods because of our university degree as sportsscientists. Finally we are testing products we sell by our own. 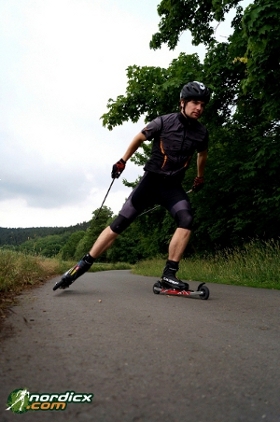 That's why we can give a preselection of the best brands to our customers in roller skiing and cross skating. You can watch us testing in our "media area" of roller skiing and nordic cross skating.